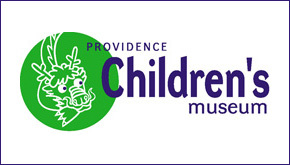 Providence Children’s Museum presents a powerful celebration of the life and work of Dr. Martin Luther King Jr. on Monday, January 21. The event features a live performance with songs and stories, an exhibit and anti-discrimination activities and is free with Museum admission of $9.00 per person. The Civil Rights movement comes to life in provocative performances of “M.L.K: Amazing Grace” at 11:30 AM, 1:00 PM and 2:30 PM. Actors Rochel Coleman, Jackie Davis and Rafini portray Civil Rights activists Ralph Abernathy, Rosa Parks and more in this moving show. Coleman wrote and directs the show and has performed it at schools and other venues throughout the country. He emphasizes that, despite its serious subject, “M.L.K.” is not all grave and solemn; the production includes a number of light moments of repartee and song with its important message. From 12:00 to 4:00 PM, families can also browse an exhibit of photographs, text and a selection of carefully chosen books about the American Civil Rights Movement and Dr. King’s philosophy of nonviolence. Visitors can choose to participate in a thought-provoking interactive exploration of the negative power of discrimination, during which they don colored tags and encounter “red only” and “green only” labels throughout the Museum. Educators will be on hand to talk to families following this provocative exercise and invite them to record their responses.